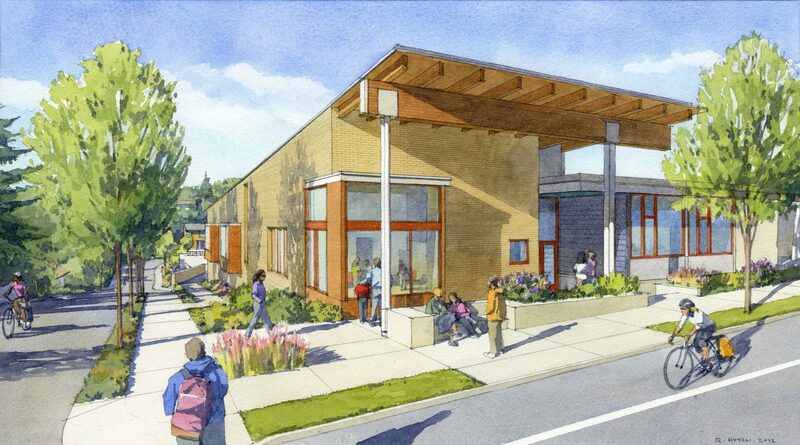 Neighborhood House Children’s Center in southwest Portland is a part of Stephens Creek Crossing, a new affordable housing development also designed by MWA. It provides Head Start early childhood education as well as a shared workshop for parenting classes to strengthen families. 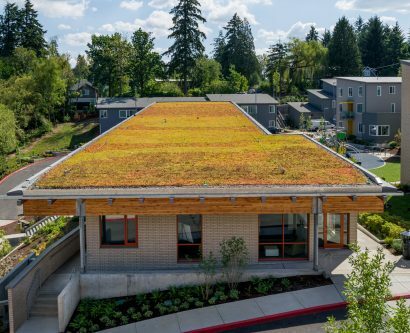 The Center achieved LEED Gold certification for its sustainable design features. 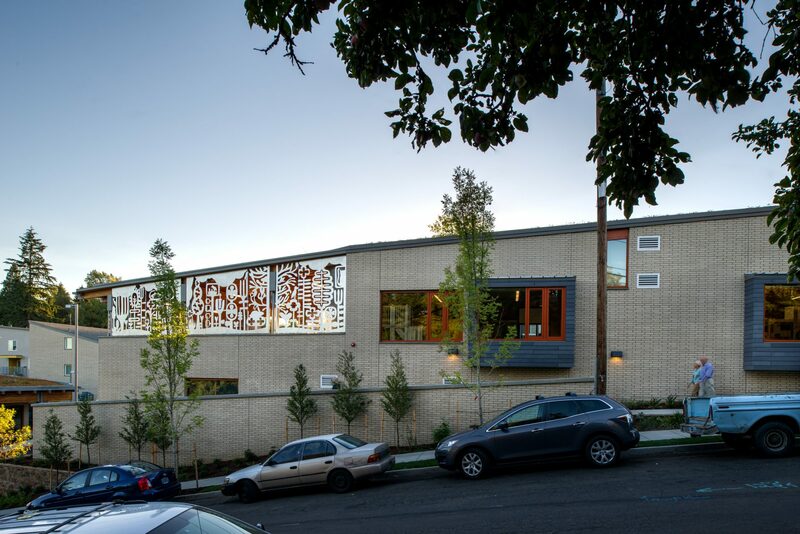 The Children’s Center is visible from SW Capitol Highway and stands as a gateway to the Stephens Creek Crossing development. 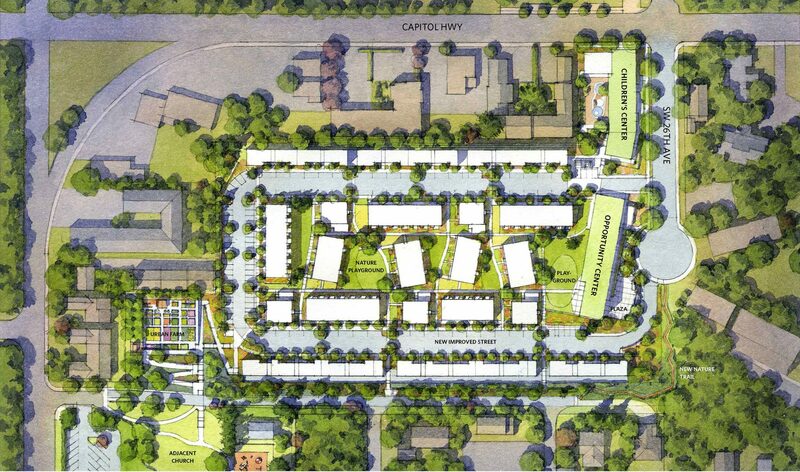 A gentle ramp provides graceful accessibility from the neighborhood to the campus, removing the previous physical and social barriers between residents and neighbors. 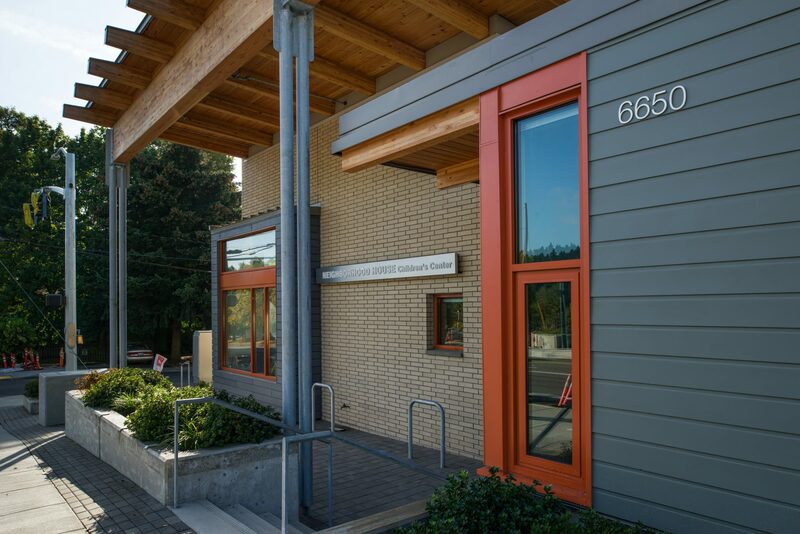 Children's Center main entrance and offices. A concrete bench is provided at the new bus stop. 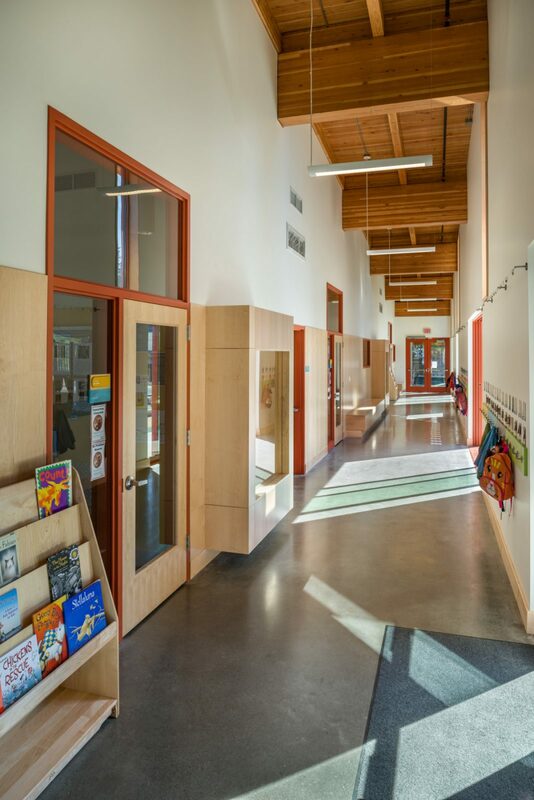 The new facility contains four classrooms all opening onto an active circulation spine with direct access to the outdoor playground. The covered play area is located at the end of the hallway. 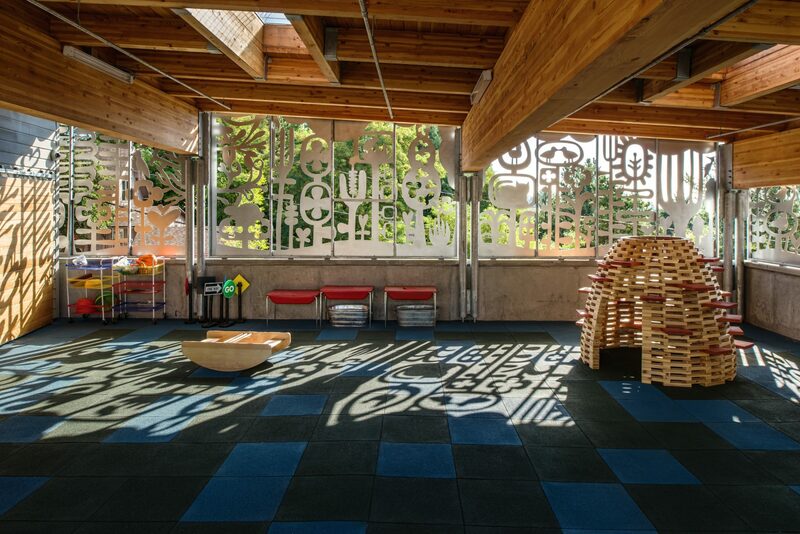 The covered play area - with an art screen that casts playful shadows - is an integral part of the curriculum, encouraging outdoor play throughout the seasons. A neutral material palette with splashes of color offers a warm backdrop for the children's artwork. 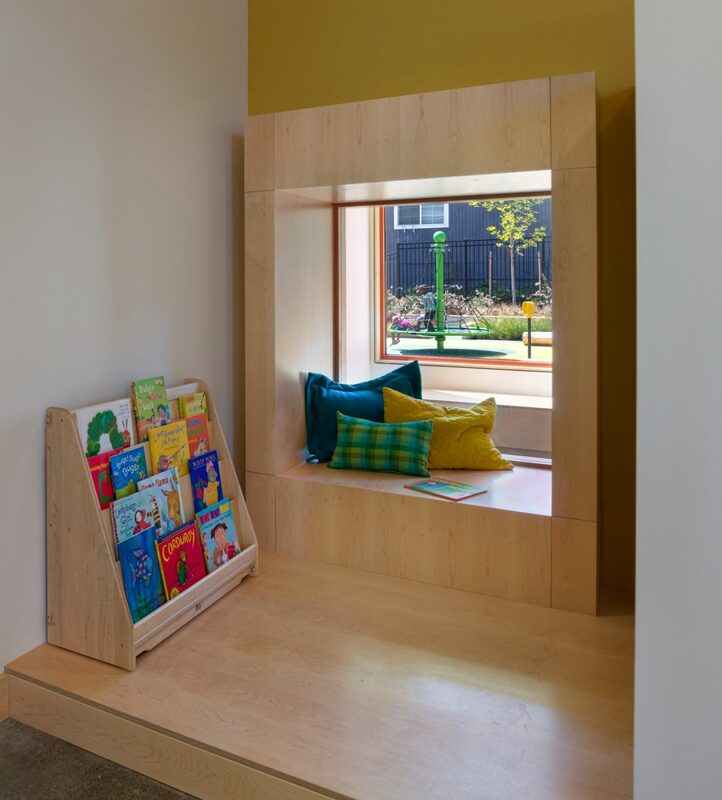 Intimate reading nooks look onto the circulation spine and the playground beyond. 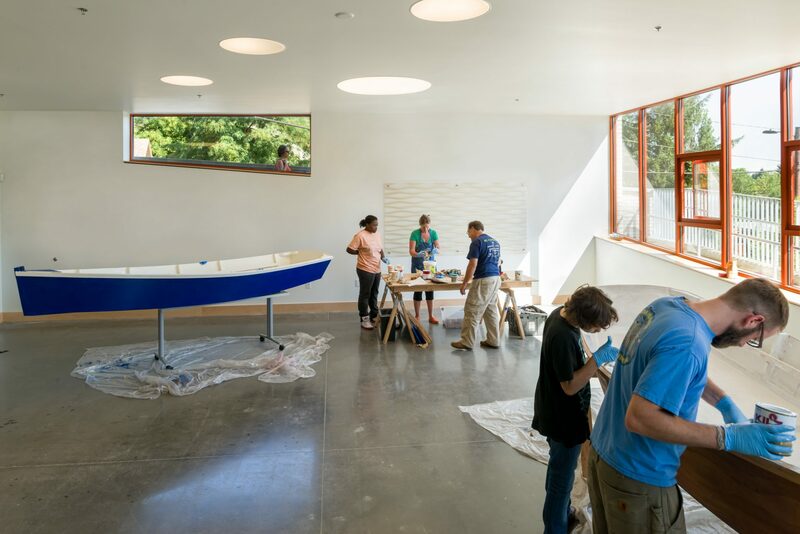 A family workshop allows kids and adults to spend quality time together learning new skills. 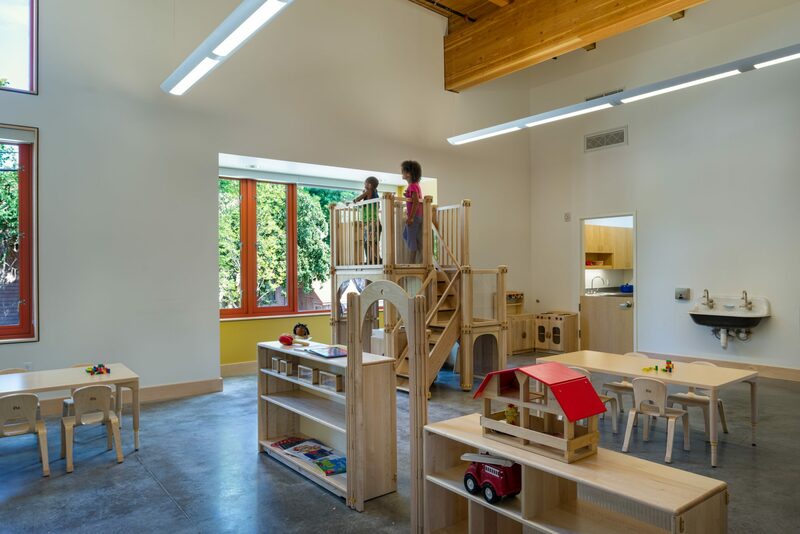 This multipurpose space is also used for parenting classes.